Founded in 1934, South African Airways (SAA) is the flag carrier of South Africa flying to 38 destinations in South Africa and around the world from its Johannesburg hub at OR Tambo International Airport. SAA owns Mango, a low-cost domestic airline, and has established links with Airlink and South African Express and is also a member of the Skyteam. South African Airways offers best services, on-time and hassle-free operation at the best possible fares! South African Airways currently operates a fleet of 55 aircrafts. South African Airways flies to over 38 destinations across Africa, the Middle East, Asia, Europe, Australia and North and South America. South African Airways is a full cost carrier and its aircraft cabin is divided into two cabin classes. Features include flatbed seats made from the finest leather and fabric and lie completely flat at 180° for a good rest under a soft duvet with luxuriously large pillows and a padded seat cover which provides extra comfort. Noise cancellation headsets help block out the cabin noise allowing you to watch your favourite movie uninterrupted. The exquisite à la carte menu, South African cheese board and skillfully selected wine give guests a high-class dining experience. Each Business Class seat also has its own USB and laptop charging point. Economy Class seat features include increased legroom, slimmer seats, movable headrest with adjustable ears for extra comfort. Book tickets for 10 travellers or more with South Africa’s flag carrier South African Airways by FareHawker flight Group Booking desk. We offer South African Airways group fare facility for all travel portal, travel agencies, corporate & tour operator. Our ex-airliner team members are expert in handling small or large segment of Group Bookings. South African Airways Flight Lowest Group Fare - Buy Group flight tickets with FareHawker for booking international airlines group tickets on discounted fare. We are the largest consolidator for Group Air tickets in India and abroad. Post Your Group Booking Query for South African Airways. How to book Group Tickets in South African Airways Flight ? Any traveller, corporate, travel agency or individual can directly mail to FareHawker Group Desk team by asking for South African Airways flight group fare. Our group booking expert will get back to you on the same trail within 4 hours. Air ticket booking available at lowest airfare for South African Airways flights at affordable prices at FareHawker. 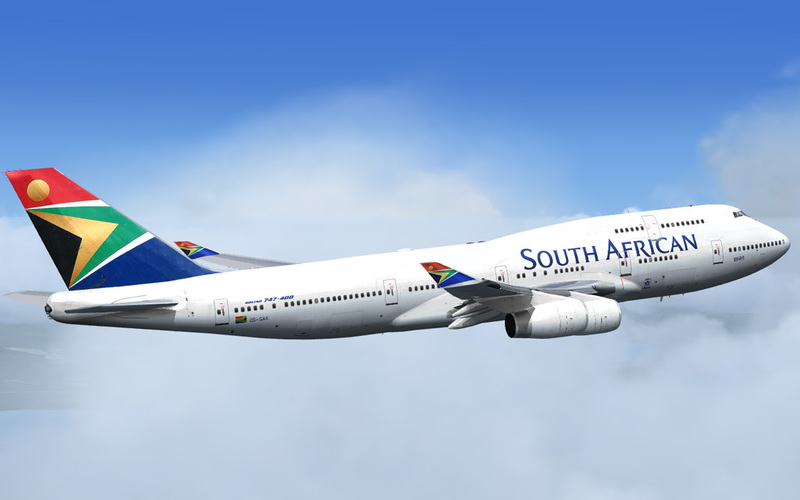 South African Airways flight online booking - Book South African Airways ticket online at lowest air fare at FareHawker. Get best offer for South African Airways connecting India and abroad! Book South African Airways tickets with FareHawker as we offer the best-in-class fare options for all types of airline bookings. Our dedicated ex-airliner team with their in-depth industry knowledge offers you the cheapest possible fares for domestic as well as international travel. We take pride in our relationship with the airline partners and it is this relationship that allows us to offer you great travel solutions. We are here not only to find the best flights at cheap airfares but also to offer you consolidated travel services so you enjoy a seamless travel experience. Visit South African Airways FAQ for all related queries. Terms and condition of FareHawker and South African Airways apply.